A new State Government policy aimed at reviving Port Adelaide with more people, new homes and jobs for the locals will see fertilizer plant Incitec Pivot move its operations from the sea port city to a new South Australian facility. 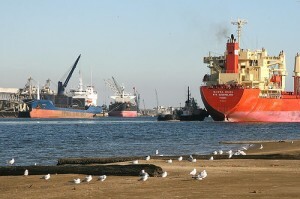 According to a news release from SA Premier Jay Weatherill, the decision to move the plant to a new site means that calcium ammonium nitrate will no longer be stored at the Port Adelaide site starting next year, thus eliminating all the obstacles preventing the development of the area in and around the harbour. The Premier released the State Government’s Our Port Policy, the latest in its series of Building a Stronger South Australia policies. “We have a vision for the Port that celebrates its maritime past and future, its attractiveness as a tourism destination and its desirability as a place to live, not just visit,” Mr Weatherill said. According to Mr Weatherill, the decision to move Incitec Pivot to a new site will send a strong positive signal about the future renewal of Port Adelaide. Meanwhile, a precinct plan is nearing its completion as the first step towards rezoning the Port through a Development Plan Amendment, which will lift all the barriers preventing the future development of the area. – Streetscape improvements to parking, walkways and general amenity on key streets. – Repair and refurbishment of the Flour Shed in the Hart’s Mill precinct, where new shops will be encouraged to fill empty buildings. – State Government support for entrepreneurs and business people through the Adelaide Business Hub at the Port. – Continuing to establish new events at the Port to create vibrancy, revitalise the local economy and encourage community participation. The State Government is locked in negotiations with the Port Adelaide Enfield Council about collaboration on other activation projects at the Port and is said to be prepared to cover half of the costs of these projects. The State Government is also advancing plans to lease office accommodation for government employees as part of the plan to bring more people to the Port. “Hundreds of government employees will relocate to the Port which will make the Port centre more attractive,” Mr Weatherill said.